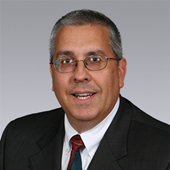 Mr. Lasky has thirty (30) years of experience in commercial real estate transaction management including significant representation of major companies, law firms, and health care groups in the sale and leasing of commercial real estate facilities throughout the United States. In 2005, Lasky founded a real estate investment and development company with projects in four states, and Forum Group, a commercial real estate brokerage operation representing clients worldwide. The company developed over $250 million of office, industrial and retail projects in regentrifying urban areas and brokered the acquisition and disposition of large regional and national facilities. Capitalizing on the overstimulated CRE market of the past few years, Lasky sold several out-of-state properties and operating interests, and returned to Colliers International in late 2017. In addition to representing corporate interests as a tenant/buyer representative and property owners on a local level, Lasky continues to coordinate national transactions for companies on the deep Colliers International platform. Industry professional, Elisa Cameron Avery, provides assistance to Barry Swatsenbarg and the Investment Team. Prior to joining Colliers, Elisa was a Legal Assistant to successful attorneys, nationally and internationally recognized. She served as an integral part of their business and Qui Tam practice as organizational expert and client relationship liaison. Over the last decade she has developed her working relationships and provides strategic ideas implementing change. 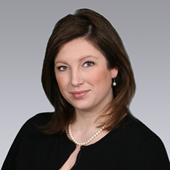 Elisa brings 14 years of focused and driven experience to Colliers International. She provides business concepts to enhance value for clients with over half of her professional background in the legal field. Elisa was selected to participate in the 2018 Women’s Mentorship Program at Colliers International. The program acknowledges women professionals who have made themselves standout performers across the nation. 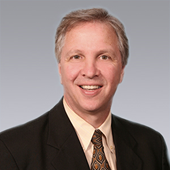 Michael is a leading Commercial Real Estate professional specializing in Industrial and Office brokerage. An expert in tenant representation across the United States and abroad, he has negotiated a multitude of complex transactions. He has succeeded in disposing of occupied and vacant investment grade industrial, office, and retail buildings as well as multi-family housing properties and vacant land. Additionally, Michael has significant experience with new construction and build-to-suits, completing over 1.5 million square feet of built-to-suit transactions. “Process improvement and flawless execution are quickly becoming the hallmarks of America’s top companies” is Michael’s business philosophy. In addition to Michael’s experience, his clients receive the benefit of three of the best networks in the world. As a part of Colliers International, a CCIM, and SIOR, he is able to continually increase his effectiveness and maximize value for his clients. Over his career, he has consummated in excess of 1,000 transactions valued over $1 billion dollars in consideration. Greg has been representing corporations and individuals on a local, national and global level in commercial real estate transactions for over a decade. 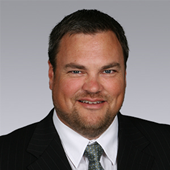 Mr. Bockart leads a team of five professionals who primarily focus on corporate strategy, tenant representation and investment sales. 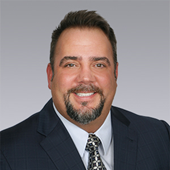 Greg’s clients benefit from his extensive background structuring and negotiating commercial leases, developing comprehensive and strategic real estate plans and delivering results based on each clients’ unique business or investment requirements. Through creative negotiations, Greg has achieved significant cost reductions and has strategically aligned his client’s real estate requirements with their business and financial objectives. 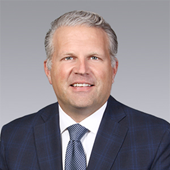 Greg sits on the board of several charitable organizations and is currently the Co-Chair of Leaders for Kids an advisory board to the Children’s Hospital of Michigan Foundation. 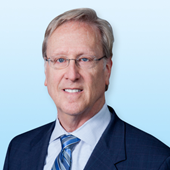 In 2015, Barry joined Colliers International to expand the Colliers Detroit market with his investment sales experience. A licensed real estate broker with over 30 years of experience in the real estate business. Gaining widespread respect as a skilled practitioner, Paul is proficient in structuring, negotiating and delivering innovative solutions for complex real estate transactions. 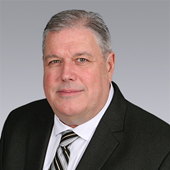 Paul's knowledge, experience and enthusiasm enable him to identify opportunities for improvement that surpass traditional commercial real estate property and business services. Entreneneurs, corporate executives and owners of well established companies alike place their trust in his broad-based business approach, market knowledge and attention to detail throughout the commercial real estate process. To date, Paul has achieved a career total in excess of $100 million in real estate transaction value. He is a specialist in industrial and retail properties as well as large-tract land assemblages. Paul's successful track record is attributable to his professional expertise in a wide range of areas, including property sales and leases, bond-based financing, tax abatements, demographic profiles, vacant land sales and development analyses. With more than 30 years of experience, Jeffrey Fenley specializes in corporate real estate consulting for local, national and global clients. Concentrating on strategic planning and financial analysis, site selection, lease negotiation, transaction restructuring through to complete project execution, Jeffrey expertly guides his clients through every step of the process. He is instrumental in aligning his client’s real estate needs and corporate goals, while lowering occupancy costs and increasing efficiencies. Jeffrey utilizes his negotiation and financial skills, coupled with his intimate understanding of his client’s needs, to creatively approach complex facility requirements in the office and research/development arena. He has consummated in excess of 20 million square feet of transactions for clients in various business sectors, including financial services, automotive, telecommunications, healthcare, non-profit and education. He was also instrumental in the land assembly program for the Palace of Auburn Hills, the former home of the Detroit Pistons. Lou is primarily a landlord rep specializing in the sales and marketing of retail land and buildings in Southeast Michigan, but also has tenant rep relationships with Rite Aid, Community Choice Credit Union, as well as some other local retailers. He began his real estate career with Perry Drug Stores in 1986 and has also held real estate positions with R.A.DeMattia Development, and Rite Aid Pharmacies. Brian specializes in tenant representation in the retail sector. Restaurant, entertainment, senior care facilities are areas of expertise along with performing shopping center leasing with a focus on landlord representation. He works with national, regional and local tenants providing his clients with market analysis and studies, mapping of sites, aerial mappings, and demographics to provide them with detailed market information. Points of entry for new tenants to the Michigan market will enjoy the in depth analysis and knowledge Brian brings to the table.